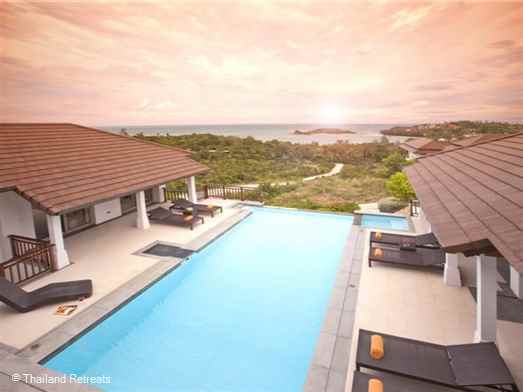 Frangipani Sea View Villa is a fabulous Koh Samui Holiday Villa located in a secure gated community walking distance to Choeng Mon beach and village. 5 mins to Fisherman's Village and 10 minutes to lively Chaweng. 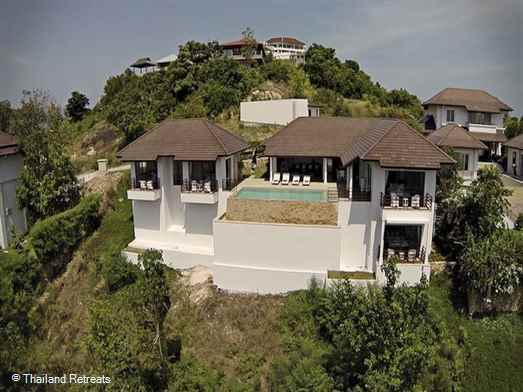 Il Bel Sognio overlooks Choeng Mon beach and walking distance of the beach, village, restaurants and shops. 10m infinity edge pool. 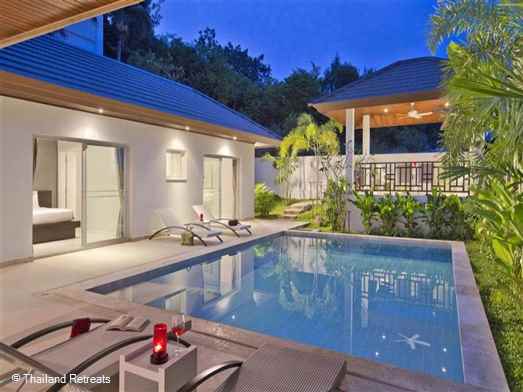 5 minutes from Fishermans Village and 10 minutes from lively Chaweng. 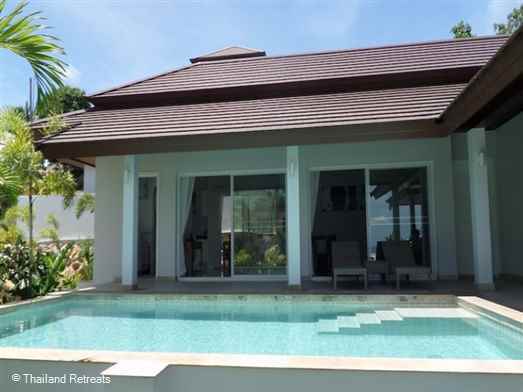 Mai Tai is a lovely villa walking distance of Choeng Mon beach and village. Open plan living area, private swimming pool and sala. 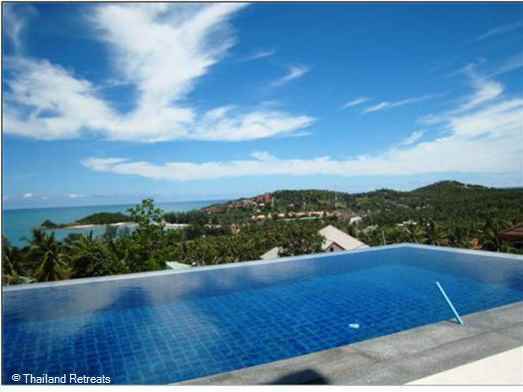 Great for a Koh Samui family holiday. Fishermans Village at Bophut 10 minutes away and the lively town of Chaweng 10 minutes in the other direction. 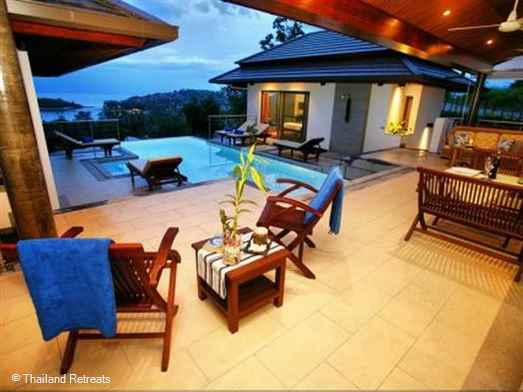 Ocean View villa is a luxury villa with stunning views over Choeng Mon and just 1km to the beach and village. Infinity edge pool with Jacuzzi seat. Games room with pool table. 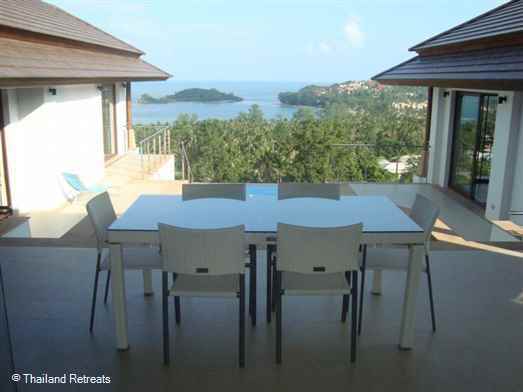 On The Rocks villa is located walking distance to Choeng Mon beach and village. Beautifully decorated as the owners second home in Koh Samui it has excellent sea views from all rooms and a lovely infinity pool with views over the bay. 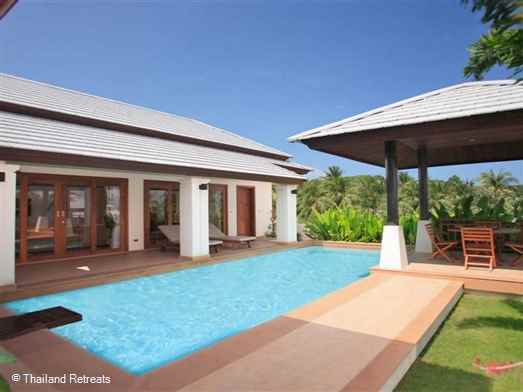 Samui Sunset is a very private villa with it’s own pool with shaded outdoor areas as well as in the sun. 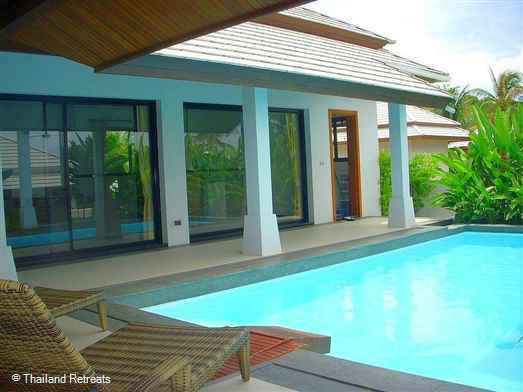 A great location walking distance to the popular Choeng beach and village. 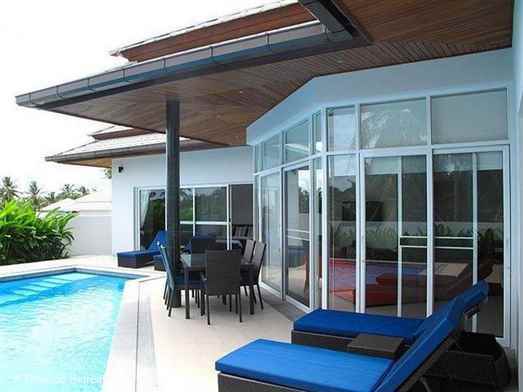 Siam Noi is a lovely villa close to popular Choeng Mon beach and village with ample restaurants and tourist shops. 10 minutes drive to Fisherman Village in Bophut and to lively Chaweng in the other direction. 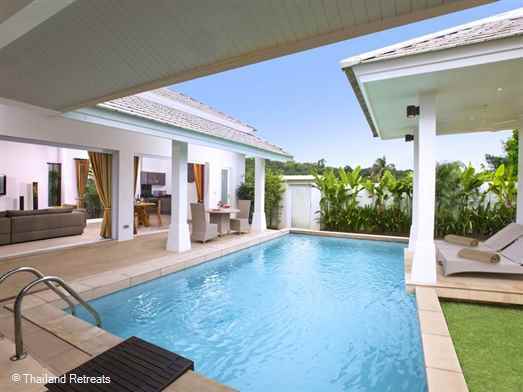 Villa Lotus (30) has a lovely outdoor relaxing area and pool set in a secure gated community within walking distance to Choeng Mon beach and village. 10 mins to Fisherman'village and 10 mins to the lively town of Chaweng. 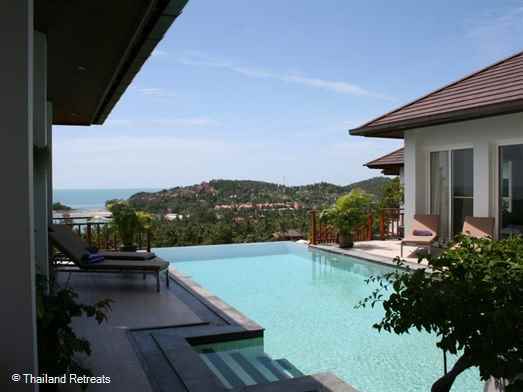 Villa Mandala is a fabulous Koh Samui contemporary style sea view villa located on a secure development in Choeng Mon. Close to beautiful Choeng Mon beach. 10 mins to Fisherman's village. 10 mins to lively Chaweng. 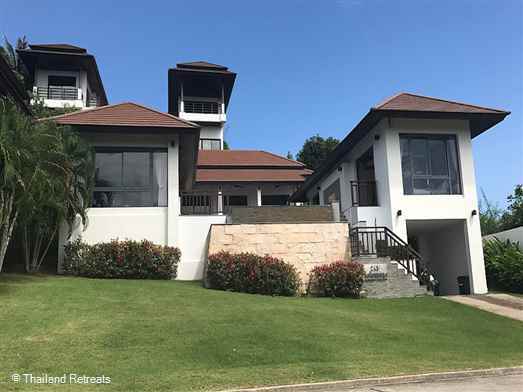 Villa Vigo is spacious 2 bedroom villa with private pool set within a secure villa development and within walking distance to popular Choeng Mon Beach and village.